Ted Danson, Sam Waterston, Lily Tomlin, Alison Pill, Angela Kinsey, Oscar Nunez, Stephanie Cayo, Briana Evigan, Heidi Nazarudin, Christina Ochoa, and Sally Pressman were among those who attended the 10th annual SeaChange Summer Party in Laguna Beach on Saturday evening to support Oceana, the world’s largest ocean conservation organization. 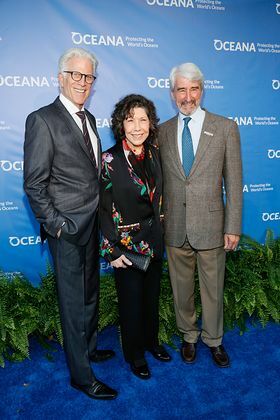 This year’s SeaChange Summer Party honored Sam Waterston and Lily Tomlin for their support of Oceana and work as advocates for the oceans. The sold-out evening was held at a private coastal villa in Laguna Beach. Nearly 400 guests attended the event, raising more than $1.2 million for Oceana and local ocean conservation efforts. Award-winning actor and longtime Oceana Board Member Ted Danson mingled with guests and led the night as Master of Ceremonies. “SeaChange has helped Oceana become a real force for good in California and around the globe by winning victories that make our oceans healthier, more biodiverse and abundant,” Ted Danson told the crowd. 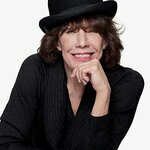 The evening’s special guests, Sam Waterston and Lily Tomlin, spoke of the recent tragedy of Scarlet the whale, a locally-known humpback whale who died in April and had previously become entangled in fishing gear. “It’s too late for Scarlet, but you and I, by having Oceana’s back, are going to rescue the oceans,” said Sam Waterston. Also honored were Ocean Champions Anne Earhart and Herbert M. Bedolfe, III of the Marisla Foundation for their tireless commitment to the oceans. SeaChange guests were treated to specialty Nolet cocktails and a delicious dinner. Guests were invited to raise their paddles to support Oceana’s campaigns to protect majestic sea creatures like whales and promote healthy, vibrant marine ecosystems. Highlights of the evening auction included the lively bidding for a Customized BMW 530e Hybrid donated by BMW i and the Southern California BMW Centers and an exclusive six-day voyage aboard the Hemisphere – the world’s largest luxury catamaran – donated by the owner and Burgess, the world’s superyacht specialist. SeaChange was co-chaired by Oceana Board Vice Chair Valarie Van Cleave and Elizabeth Wahler. The SeaChange silent and live auctions included a wide array of exclusive items including a Mikimoto Black South Sea Pearl, Diamond and Sapphire Necklace, custom suits from Mark Pomerantz, Zegna and David August, stunning jewelry from David Yurman, Julia Post Jewelry, K. Brunini Jewels and Kimberlin Brown, gorgeous luxury items from Aquazzura, AnQi, Baccarat, Bottega Veneta, Burberry, Chanel, Chopard, David Yurman, Diane von Furstenberg, Diptyque, Giorgio Armani, Gucci, Kate Spade, Lanvin, Liuli, MaxMara, Miu Miu, Neiman Marcus-Fashion Island, Ralph Lauren, Salvatore Ferragamo, South Coast Plaza, TOD’S, Valentino, Versace and artwork by Truong Buu Giam, Kevin McHugh, Gorgeana Ireland, and Jojo Bros. The SeaChange Summer Party is made possible by the generous support of various distinguished local and international businesses and philanthropists. Special thanks to Baha Mar, BMW and the Southern California BMW Centers, media sponsor Coast Magazine, liquor sponsors Nolet Spirits and Ketel One, gift sponsor Bloomingdales, Fashion Island and Wine Partner BV Coastal Estates Wines. SeaChange partners and underwriters include Bob and Britt Meyer, Jean and Tim Weiss, Tricia and Michael Berns, Elizabeth Wahler, Valaree Wahler, Eve and Mike Ruffatto, the Cahill family, Elizabeth Segerstrom, Laura and Lou Rohl, Lynda Thomas, Jennifer Durham, Patrica Hansen, James Sandler, South Coast Plaza, David and Syd Swerdlow, Jeff Blasingame, Commerce Printing, and Signature Party Rentals. Special thank you to Keith Addis and Keri Selig. For a full list of underwriters and partners, host committee members, auction items and more information about SeaChange, click here.